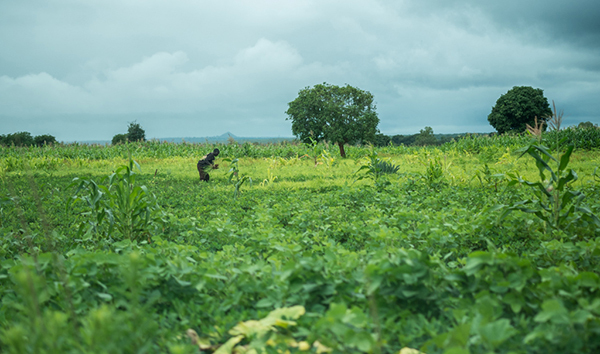 Michigan State University in East Lansing will lead a study commissioned by the World Bank to identify how agricultural universities can respond to emerging new skill requirements of Africa’s agricultural workforce. Thom Jayne, university foundation professor in the Department of Agricultural, Food, and Resource Economics (AFRE), will be the lead author of the study. The study will guide the implementation of a $50-million, five-year regional initiative called Strengthening Higher Education for Agri-food Systems, or SHAEA. The World Bank will work with African governments and the Regional Universities Forum for Capacity Building in Agriculture (RUFORUM), to build on Africa’s efforts to stimulate agri-food system transformation by strengthening links between selected African universities and regional agricultural sectors. There are seven proposed target countries for SHAEA: Benin, Cameroon, Cote d’Ivoire, Ghana, Kenya, Malawi, and Mozambique. The results of the study will inform the implementation of the World Bank/RUFORUM SHAEA Initiative, which is set to start distributing funds in 2019. Jayne will also use the study to identify mega trends likely to influence African agri-food systems and anticipate how these trends will influence what the private and public sectors will be looking for in university graduates. It will also study the technological and skill requirements to be valued among graduates of African agricultural universities. The results of the study will be used to guide institutional and policy changes. AFRE is home to the Food Security Group and Feed the Future Innovation Lab, and is closely linked with the Alliance for African Partnership, a new initiative at MSU to build long-term partnerships among the university, African universities, and pan-African policy organizations. “My professional efforts in the last 10 years have been based on the recognition that development in any region is associated with the sustainable development of its own institutions,” says Jayne.